Check out the top 10 backpacking tents from the 2019 annual SectionHiker backpacking tent, hammock, and tarp survey. These are all great tents with plenty of variety, features, and a wide range of prices to suit different backpacking preferences, budgets, and needs. The Big Agnes Copper Spur HV UL 2 Person Tent ($450) is the most popular backpacking tent purchased today. Lightweight, but fully featured, it boasts an impressive interior space to weight ratio. A hubbed pole architecture and steep walls provide lots of interior space, while two doors and vestibules add convenience when used with a partner. Ample mesh provides circulation to fight condensation build-up, with plenty of interior pockets for personal items. Tent weight minus stakes is a miserly 2 pounds 12 ounces. Read the SectionHiker review. The Big Agnes Fly Creek HV UL 2 Person Tent ($350) is a double-walled two person tent that’s often used by a single person who wants extra space to spread out after a hard day on the trail. Its semi-freestanding design is easy to set up and well ventilated to reduce internal condensation, with a vertical front door to increase front vestibule space. Weighing just 1 lb 15 oz, the Fly Creek is narrow enough to fit into compact tent sites, making it a flexible option on long distance trails. The Zpacks Duplex ($599) is an ultralight trekking pole tent that only weighs 19 ounces. It has ample space for one person plus gear to spread out, but can also fit two people comfortably. It has two doors, so you get good ventilation and vestibule space on both sides of the tent, plus you don’t have to climb over your partner at night to go for a nighttime walk. The Duplex has a full bathtub floor, seam taped seams, and mesh sidewalls for insect protection. Pitching the tent requires two trekking poles, but the dual apex structure is quite wind resistant provided it’s staked out securely. The Duplex is made with an ultralight fabric called Dyneema Composite Material (formerly called cuben fiber – see Dyneema Composite Fabrics FAQ), which is waterproof and won’t sag at night or when it rains. It is translucent however, which can compromise your privacy when camping in a group. The Duplex is also available in more opaque colors for an extra fee. The REI Quarter Dome 2 Person Tent ($349) has two doors and two vestibules, providing better access and gear storage when shared with a partner. A multi-hub pole architecture creates near vertical walls so occupants can both sit up inside the tent at the same time, but the tent pole and spokes can be unwieldy to set up. The inner tent has good airflow with ample mesh, with solid fabric panels that provide privacy and keep wind and dust from blowing into the tent. Convenience features including light hang loops and interior pockets are also provided. The fly is made with a 15 denier ripstop nylon to minimize weight while the floor and walls are made with a slightly more robust 20 denier ripstop. Gear weight without stakes in 3 pounds, 5 ounces, slightly lower weight than the MSR Hubba Hubba, but the Quarter Dome’s setup is not as straightforward. Read the SectionHiker review. The MSR Hubba Hubba NX2 ($450) is a great tent for two people. It’s incredibly easy to set up, lightweight, and has two doors so you can come and go at night without disturbing your partner. Nearly freestanding, the pole configuration creates an interior space that has near vertical walls, providing excellent interior space and livability. With a trail weight of 3 pounds and 8 ounces, the Hubba Hubba NX2 is lightweight enough for backpacking use when shared by two people, but on the heavy side if used by one. Still, MSR has done a fine job designing this tent which is a spacious and comfortable. Read the SectionHiker review. The Big Agnes Copper Spur HV UL 1 ($380) is a spacious 34 oz high-volume, double-wall tent with an easy-to-set up hubbed pole architecture. The large, dual-zipper door makes entrance and exit easy and creates a large vestibule for ample gear storage. A large ceiling pocket and side pockets provide excellent storage space, while mesh sidewalls provide extra privacy. The high quality of the Copper Spur and its durable construction make it a backpacker favorite. The Six Moon Designs Lunar Solo ($200) is an ultralight style, single wall tent that’s pitched with a single trekking pole. Weighing just 26 ounces, the Lunar Solo is quite lightweight and easy to set up. It has a bathtub style floor to prevent flooding in rain and a side door, making entry easy. The interior is quite roomy, with a hexagon shaped floor, providing room to store your gear in the tent, and plenty of head room to sit up inside. A large vestibule also provides gear storage and room to cook in bad weather. Read our review. The Nemo Hornet 2P ($370) weighs just 1 pound 14.3 ounces rivaling many single-walled ultralight tents in terms of weight and cost. Featuring two side doors and a deep bathtub floor, the Hornet 2P is a comfortable tent for two, but lightweight enough for one person who wants more space to use. The inner tent hangs from an exoskeleton style hub and spoke pole using plastic clips. This creates a large air gap between the inner tent and the rain fly, that improves internal airflow and eliminates internal condensation. Mesh side walls improve air circulation while solid side panels provide privacy and wind protection. Read the SectionHiker review. The REI Half Dome Plus 2 Person Tent ($229) is a great crossover tent for car campers who want to start backpacking. At 4 pounds 14 ounces, it is heavier than the REI Quarter Dome 2, but it’s significantly less expensive and has many features only found on high-end tents. The Half Dome 2 Plus is easy to pitch with a hubbed pole assembly that simplifies set up. Two side doors make this a very comfortable tent when shared with a partner, with separate side vestibules for external gear storage. The tent comes with mesh pockets and a gear loft for storing personal effects and features roof vents for enhanced ventilation. The Tarptent Double Rainbow ($299) is a single walled, two person tent that weighs 42 ounces. It has two side doors and two large vestibules for gear storage. Constructed as a single unit, the tent requires a single tent pole, which is inserted into a long sleeve sewn onto the top of the tent. Trekking poles can also be used in lieu of tent stakes, to stretch out the tent corners, such as on wooden platforms or rock ledge. The tent has a bathtub floor to prevent rain from entering the tent as well as large mesh sidewalls. Roof vents also help vent moisture and prevent internal condensation. This tent is very popular with ultralight backpackers and provides excellent value for the price. Here are the most important variables to consider when buying a backpacking or camping tent. WEIGHT/TRAIL WEIGHT – The total weight of a tent usually measures the tent and all of its packaging, while the trail weight is the weight of its poles, inner tent, outer rain fly, minus any tent stakes. Why the difference? Most people replace the tent stakes that come with a tent with lighter weight or stronger ones and leave all the extra stuff sacks and packaging at home rather than carry it. TENT POLES – Tent poles are made using fiberglass, aluminum, or carbon fiber. Aluminum is the most durable of the three, while carbon fiber is normally only used in very high-end tents where the focus is on light weight. Fiberglass poles are the least durable tent poles and break frequently. So much so, that we recommend avoiding any tent with fiberglass poles. All the ones above have aluminum poles or use trekking poles. Most manufacturers who sell trekking pole tents offer regular tent poles as an add-on purchase. DURABILITY – The floor of a tent is the part of a tent most likely to be punctured or torn as a result of ground abrasion. While using a footprint on floors that are 20 denier thick or less is always recommended, it’s far less necessary on 30 denier or higher floors, except on highly abrasive or rough terrain. DOORS – Tents with two side doors are often preferable when purchasing a tent for two because it means each occupant can each get in and out without disturbing one another. INTERIOR STORAGE – Interior pockets and storage organization is a plus in a multi-person tent. Look for internal pockets and gear loops to hang gear from the ceiling. A gear loft is an added bonus. Vestibule space is always a plus as well, but especially if there are multiple doors, so that gear storage does not block entry and exit. VENTILATION – All tents experience tent condensation, but good tentsite selection and ventilation are the best ways to avoid it. Look for tents that have lots of mesh netting to facilitate airflow, top vents to release moist air, and door tie-backs to roll up tent doors and keep them open at night. How do we know what the top 10 best backpacking tents are? We survey our large readership to ask. If you’d like to participate in our surveys, be on the look up for the gear raffles we run every few weeks on SectionHiker, where we give survey participants a chance to win. Or sign up to the weekly, award-winning SectionHiker newsletter, so you never miss out on an opportunity to participate. We hate spam, so we’ll never share your email with anyone else and you can unsubscribe at any time. I would love to see you do a review of the new Nemo Dragonfly, it looks like it could be a winner. Why didn’t the Tiger Wall make the list? We need to at the least have a couple different categories for “10 Best Backpacking Tents”. Within these categories we could have sub categories of single and double wall tents. In this way we are comparing apples-to-apples in weight and features. Further I suggest that ANY tent that cannot be erected in a storm without getting the inner tent wet be excluded from the”BEST” list. This outdated design has no place in backpacking tents that are in a “BEST” list. Eric – first off, an astonishing number of solo hikers use two person tents because they have more room, so the distinction between solo and two-person is actually fairly meaningless. Second, people overwhelmingly prefer double-wall tents, which may get wet when it rains. get over it. Eric…I think we should make it illegal to backpack where it rains. The tents are fine. You’re just in the wrong place. HYOH. If you want different categories, it might make some sense to develop this list by region. For example, the tents we use in the Ohio Valley might show a different set of preference than people might use in the Sierras, or the Whites, or the desert, or the Pacific Northwest. The reason I list the top 10 is so people can pick tones that best meet their needs. The lists are fine as is. Eric seems angry. A lot of the time it’s just easier and more comfortable to use a 2-person tent when hiking solo. I prefer it. Most of these 2P tents weigh a pound or less than their 1P counterparts, and you get all that space to store your gear and stretch out/change clothes in more crowded areas. I don’t think he’s angry, he just likes to rant in the comments. Has strong opinions. I forgot to mention two other obvious points: 2P person tents are ideal for solo hikers with dogs since that is a cramped situation in a 1P tent. Even though I don’t have a dog this seems to be common in NC/VA with other solo backpackers I meet on the trail. And for hikers on a budget, (e.g., me), I have the 2P tent in case a friend comes along. OK, let’s look at how breaking “10 Best Tents” into solo and 2 person tents could affect the reader. Tarptent AEON- double wall, single pole, ‘mid shape but with more interior space and better venting when closed. 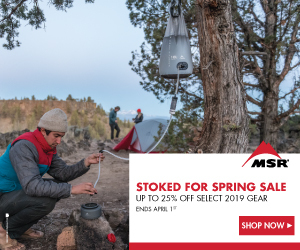 Yes, the AEON is a much higher price B/C it’s made of Dyneema but now a new ‘mid solo tent is brought to the reader’s attention for better comparison. With categories like this readers will have more tents to view and compare. Zach, I’m not “angry” about outdated tent designs that get the inner tent wet in a rainy setup or teardown. I’m just really perplexed at why these tents keep getting offered when a better fly & pole design is available in the same shape. Philip, this is another great and valuable article that you have provided to us when we consider purchasing hiking equipment. I do use a small lightweight two person when solo hiking. Thanks! I would like to know how these surveys were conducted? I’ve been on the Section Hiker mailing list for several years and have never been asked to participate in a survey. The surveys are posted on the website and an invitation to participate is ALWAYS get sent out to newsletter subscribers. The post titles typically begin with ENTER for a CHANCE to WIN a FREE “X”, followed by a link to a survey that you have to fill out to enter. I’ll be posting another in the next few weeks so you can look out for it then. In your top 10 tents, Tarptents StratoSpire Li should have been on your list near the top. I have over 100 nights in Zpacks Duplex in rain, snow and strong winds. The Duplex does fine in any rain, not very well in even light wet snow and almost blew away in a 45 mph wind storm. I use 7.5” MSR ground hog stakes for both tents. The StratoSpire Li has handled 52 mph winds with no problems, does fine in light wet snow and handled two days of heavy rains with no problem. Best of all I can set it up at night in the rain in under 2 minutes. In the opinion of a very experienced hiker, the StratoSpire Li way outshines the Duplex with only a 7 ounce penalty. I lend my Duplex to friends needing a lighter tent for a section hike. I switched to the StratoSpire Li for all my future long distant hikes. While the list is titled “10 Best Backpacking Tents”, it’s really a most popular of surveyed readership and not Philip’s own rankings from what I see, although he may fine-tune it somewhat. The Stratospire Li is super new (and expensive) so doesn’t have the traction yet, but seems like a very nice tent. By comparison the zPacks Duplex has been out for years and has developed a following. I love my Tarptent Rainshadow, which also did not make the list. It’s not quite that simple JP. The ranking is also influenced by user satisfaction.